Earn all Trophies. A job well done! Jump off the flakturm without a parachute on the Blinding Heimdall mission in multiplayer. Complete the Odin's Fall RAID on VERY HARD difficulty. Activate the main gas controller and exit the flakturm in stealth on the Odin's Fall RAID. Collect 100% of the dog tags on the Odin's Fall RAID. Complete The Amber Train RAID on VERY HARD difficulty. Complete the 'Take out the bombers' objective on The Amber Train RAID without a bomb being dropped. Reach the 'Blast the maintenance shed wall open!' objective on The Amber Train RAID in stealth. Collect 100% of the dog tags on The Amber Train RAID. Complete the Gold Rush RAID on VERY HARD difficulty. Escape within 3 minutes of entering the treasury vault on the Gold Rush RAID. Run over 30 enemies with the Kübelwagen on the Gold Rush RAID. Collect 100% of the dog tags on the Gold Rush RAID. 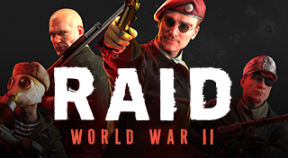 Complete the Wiretap RAID on VERY HARD difficulty with four players. Cut all radio tower cables at the same time on the Wiretap RAID. Hold the first barricade until the transmission is sent on the Wiretap RAID on VERY HARD difficulty. Collect 100% of the dog tags on the Wiretap RAID. Complete the Trainwreck RAID on VERY HARD difficulty. Secure all gold in the boat without throwing it from the bridge on the Trainwreck RAID. Find the dynamite within 60 seconds of exiting the boat on the Trainwreck RAID. Collect 100% of the dog tags on the Trainwreck RAID. Complete the Strongpoint RAID on VERY HARD difficulty. Complete the Strongpoint RAID within 8 minutes. After the escape is available on the Strongpoint RAID, kill 100 enemies. Collect 100% of the dog tags on the Strongpoint RAID. Complete the Clear Skies OPERATION on VERY HARD difficulty. Complete the Clear Skies OPERATION with four players on any difficulty, without any bleedouts. Complete the Clear Skies OPERATION with four players on VERY HARD difficulty, without any bleedouts. Complete the Rhinegold OPERATION on the VERY HARD difficulty. Complete the Rhinegold OPERATION with four players on any difficulty, without any bleedouts. Complete the Rhinegold OPERATION with four players on VERY HARD difficulty, without any bleedouts. Complete an Outlaw RAID, gained by finding intel in a standard RAID. Complete a RAID with four players, each playing a different class. Reach Level 20 with a character. Reach Level 40 with a character. Reach Level 40 with four characters. Kill 200 enemies with melee attacks. Kill at least 5 enemies with one grenade. Complete a mission with four players, without killing a single enemy. Win all 3 'Best Of' awards at the end of a mission with four players. Win a total of 150 'Best Of' awards at the end of missions with four players. Complete a mission using a Challenge card. Complete 120 missions with Challenge cards active. Apply an upgrade to a weapon. Complete all Tier 4 Weapon Upgrade challenges for a primary weapon.